The self-sufficient HIPPO Rugged Tool Circuit (RTC) incorporates its own diesel engine to provide up to 10 gpm at 2,000 psi of hydraulic power from a single, adjustable tool circuit. This versatile unit is sized to fit any standard truck bed, providing you with an extensive range of mobility. And, it won’t add idle hours to your truck’s engine, allowing you to operate in states with even the most stringent engine idle laws. 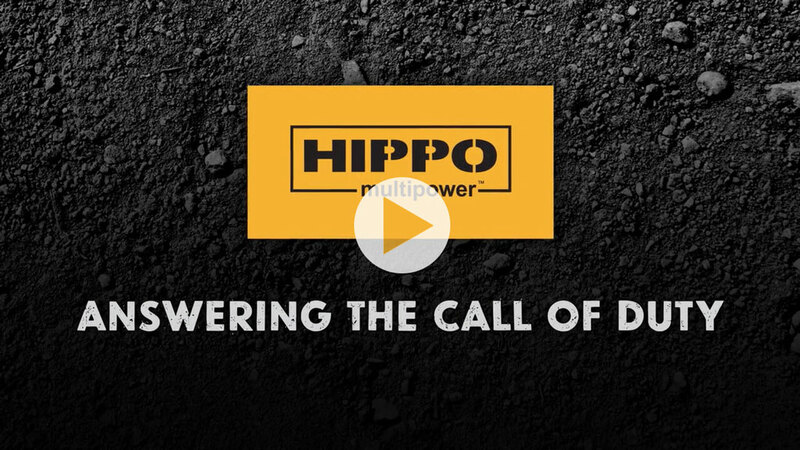 Powered by a liquid-cooled diesel turbo engine, the HIPPO Concrete Cutting Power Unit (CCPU) is the most powerful and versatile hydraulic power unit on the market. The HIPPO CCPU’s powerful hydraulic pump can run either single or dual tool circuits at a variable, combined output of up to 30 gallons per minute. The large fuel and hydraulic tanks, which are enclosed within the skid-mounted unit, provide power for ten hours of run time. The HIPPO CCPU is also equipped with two remote controls, which allow the operator to control and monitor the system with flow selectors, digital flow meters and pressure gauges, in addition to the power switch and emergency stop. Ready to see the HIPPO RTC and HIPPO CCPU in action? Contact us today to set up a demo.